Art galleries have become a local commodity allowing budding artists the chance to showcase their work to the public. As well as small creative hybrid art galleries within cafés to established museums and galleries, for decades people have enjoyed the social spaces they offer. 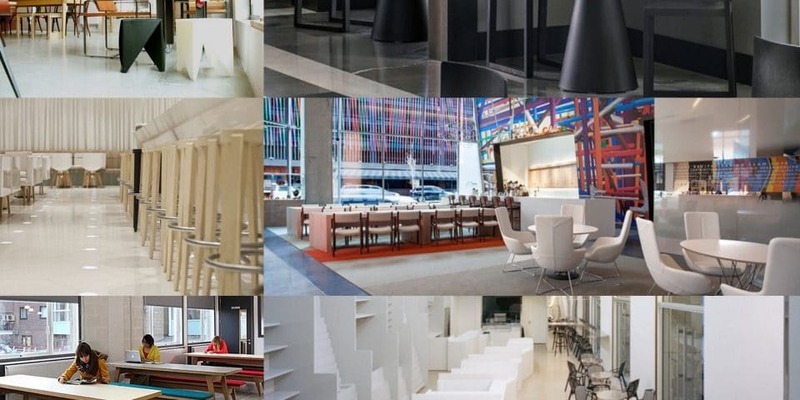 From cafés, restaurants to a bar area, these spaces allow for all day activities and events. 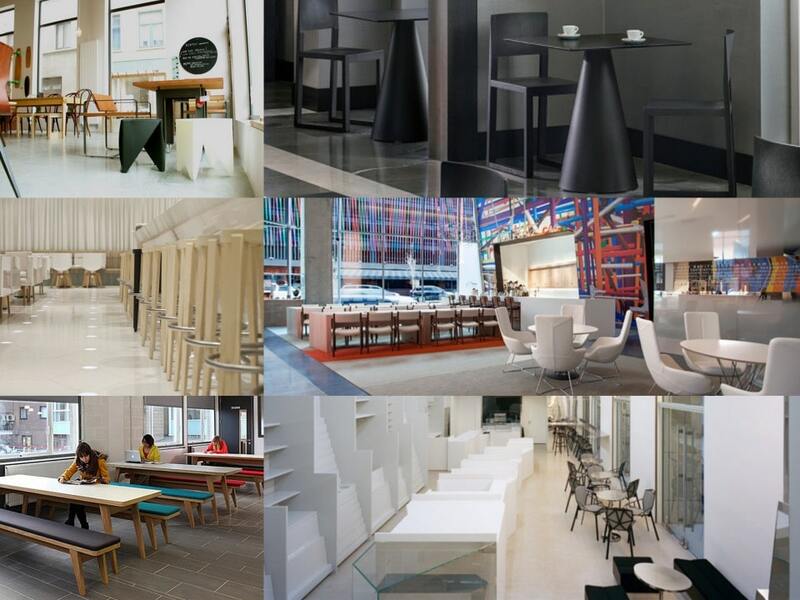 Here, we present four different types of art galleries and the café spaces within them. We highlight how a similar look can be achieved or enhanced with a selection of products we offer. The ground floor of The Gallery of Modern Art in the city of Varna is as much of an artistic impression as the art on show above on the first floor. Visitors to the gallery will be charmed by the stunning street views of Café Graffiti hinting towards the elegant and creative interior. Inside, a real visual treat welcomes you. White and black furnishings align the front whilst the walls and ceiling captivate the space in an artistic form. The wooden architectural work takes inspiration from artist impressions to help provide better acoustics and ventilation. 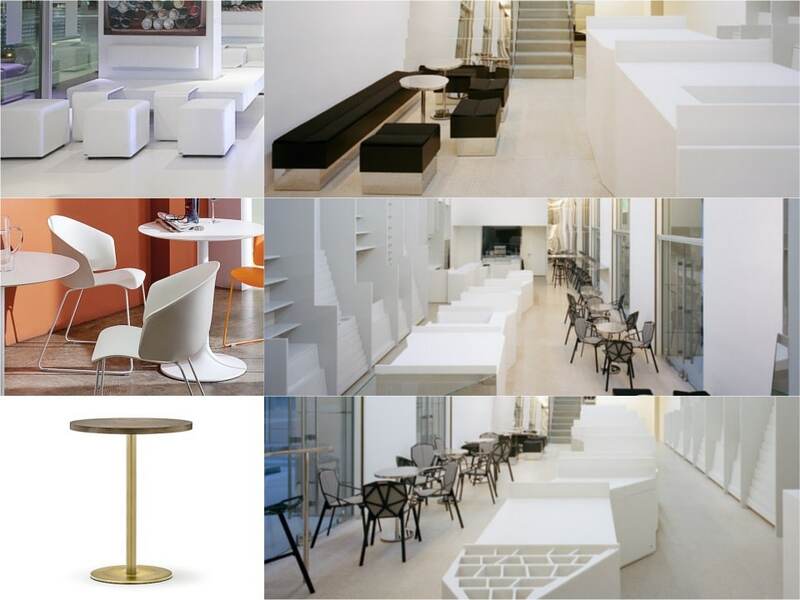 Creating an elegant space for a modern gallery café and restaurant requires furniture pieces that will present comfort whilst enhancing the sophistication of the interior scheme. The Icon table is ideal for this style of an interior; its cone-like base adds dynamic proportions of depth and shape. Available in black, grey or white laminate, the stylishly thin table top is solid and provides ample support. 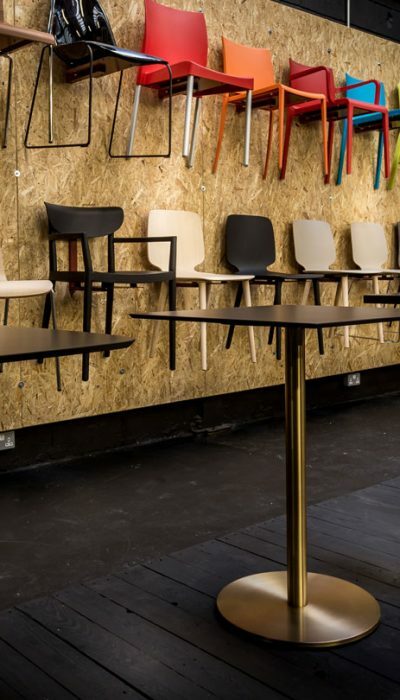 Crafted from curved plywood and resting on solid metal legs, the modish design of the Babila café chair makes an ideal option for pairing with the Icon table With varying seat and base colours, customise the chair for that sophisticated appeal. 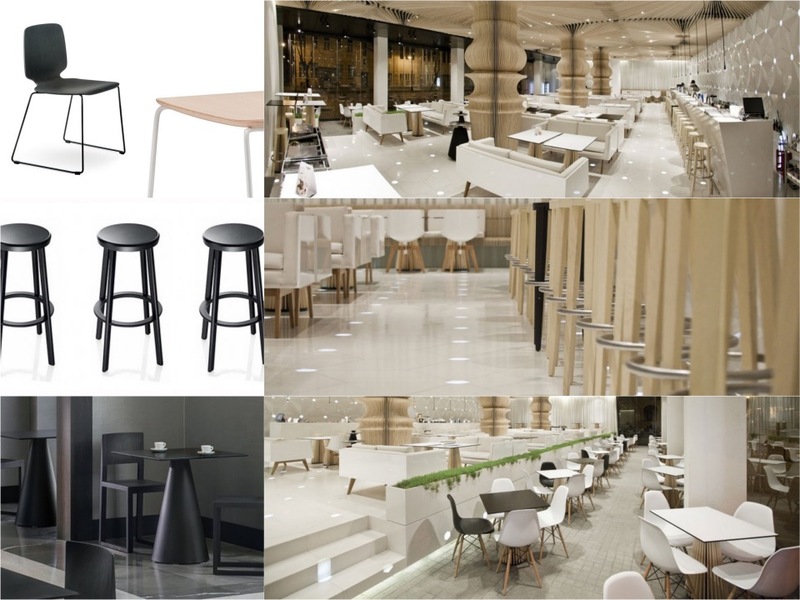 To finish off a large gallery café space, the Deja-vu bar stool presents simple and modest design with high-quality finishing. Available in white, black or polished aluminium, the extruded aluminium frame and die-cast seat offer long-term use and durability. Viktor café, gallery and workspace presents a heterogeneous insight into modern art galleries. A hybrid space for collaboration and informal working, it presents a new wave of cafés that fuses together art gallery and workspace. The basement at Viktor presents a hidden gem. The low arched ceilings along with the white wash walls bring the space alive. The simple floor lamps allow the pieces of art to stand with pride within this space that mirrors a kind of holy vibe. Upstairs, casual and varied style of tables and seating addresses the dynamic personality adopted by the café and workspace. The furnishings aid in creating a relaxed and cosy atmosphere without seeming pretentious or subversive. Form versatile seating within an intimate gallery café with the JB Osprey table. Crafted with high-quality solid laminate, the thick wooden edges and high impact curved corners makes this an ideal option for flexible spaces. With over 100 laminate colour options, the JB Osprey table comes in a range of spaces for smaller areas. To add further versatility, the Coloured aluminium tables bring a fun and stylish option for small café spaces. With a selection of aluminium base leg options and over 100 laminate top colours, contrast and complement the interiors for a mature and dynamic look. 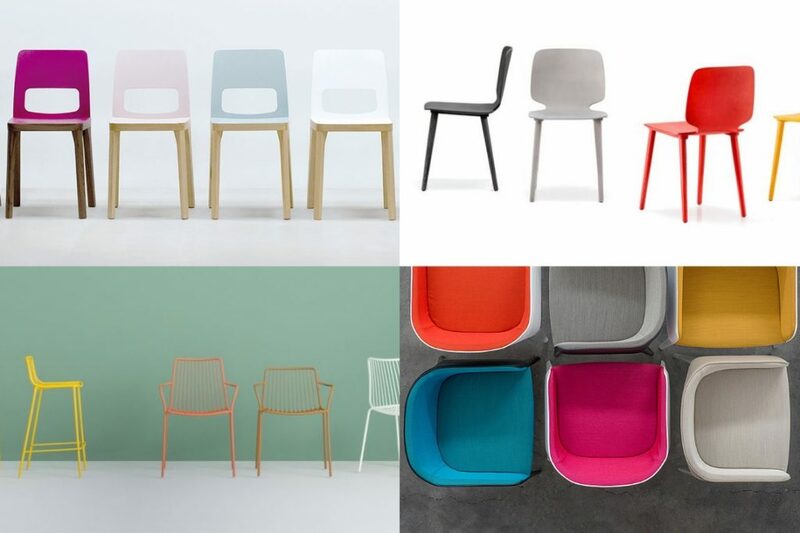 Crafted for durability and support, the Ondo chair offers a wide selection of options. Choose from a laminate wood colour or wood veneer, this chair can be easily stacked away for flexible use and easy storage, plus its heavy duty composition means it will sustain well against wear and tear. Designed by Zaha Hadid, the Contemporary Arts Centre, the new lobby space works around Hadid’s original innovation, adding a new angle to the design. In order to serve both daytime and evening activities, the new lobby space includes a café and bar space. The space encompasses two main areas; a relaxed space with high back chairs and low coffee tables and another space with a bar and long bench tables with seating for working and socialising. The use of the space allows all types of people to enjoy and utilise the facilities, with functioning power cable flaps on the tables and relaxed seating for tired legs. The space has an updated feel with an inviting atmosphere. Recreate urban chic with a selection of contemporary furnishing that will enhance the space into a welcoming and functioning space. 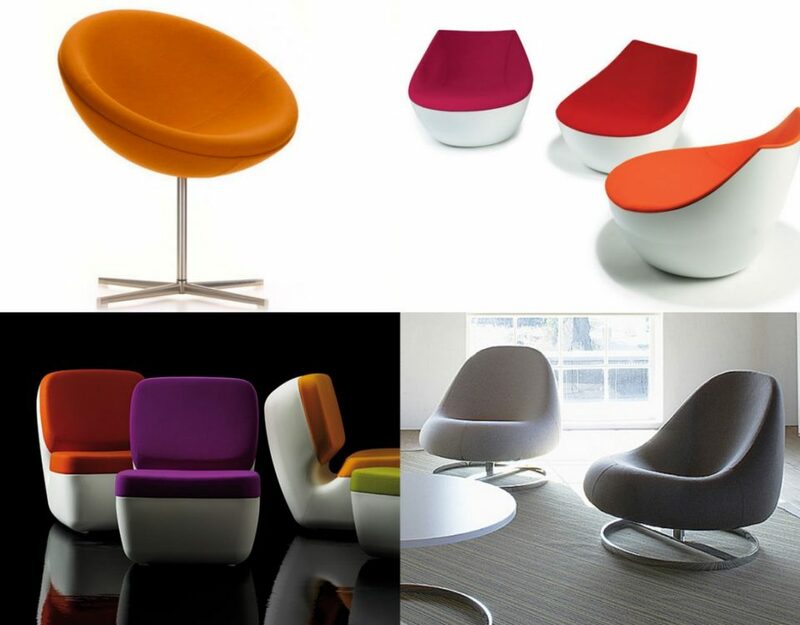 For relaxed high back seating, we have selected the designer 86 reception chair. The seat comes with a swivel high back seat that is available in a wide selection of upholstery colours, with a contract grade foam composition for added comfort. The 68 coffee tables makes an ideal companion for the 86 chair with its chrome base legs and selection of laminate top. 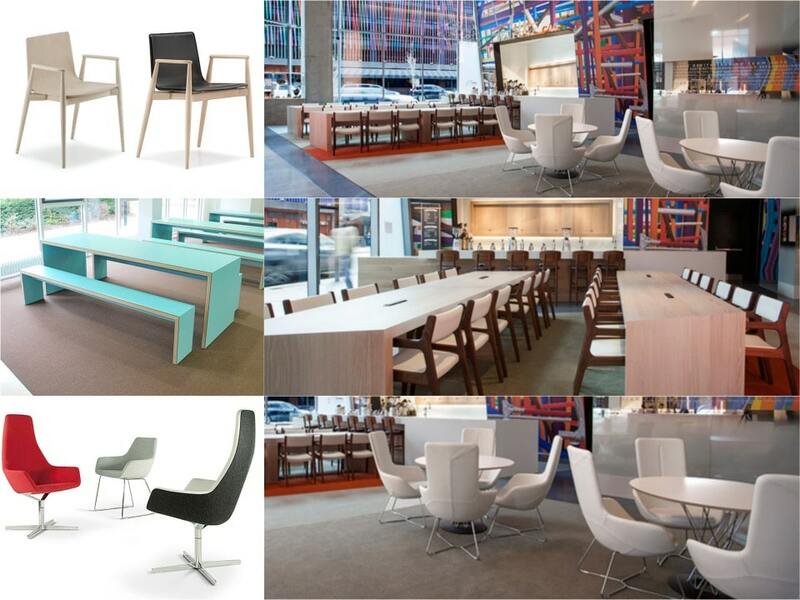 For creating a highly functioning seating space, the JB Waldo 45 table presents a selection of options. 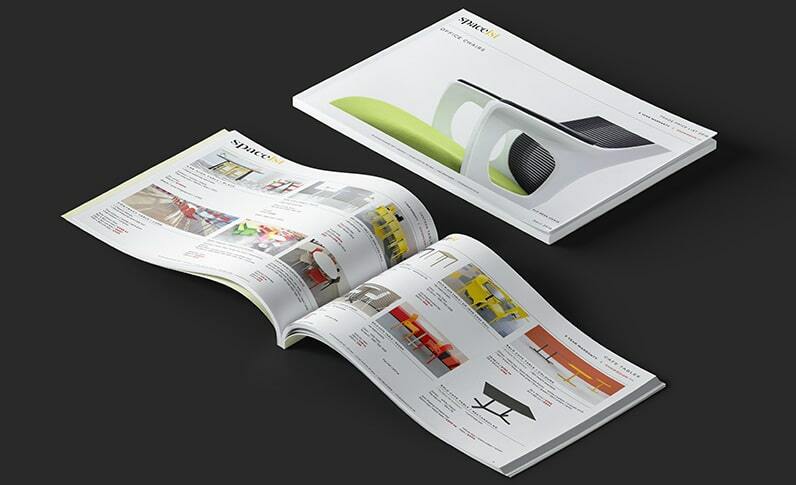 Choose from over 100 colours of solid laminate colours and solid wooden edging. The table also comes with the option of table top cable outlets for power and data points if required. Finally, include the Malmo wood chair with arms for heightened comfort and style. 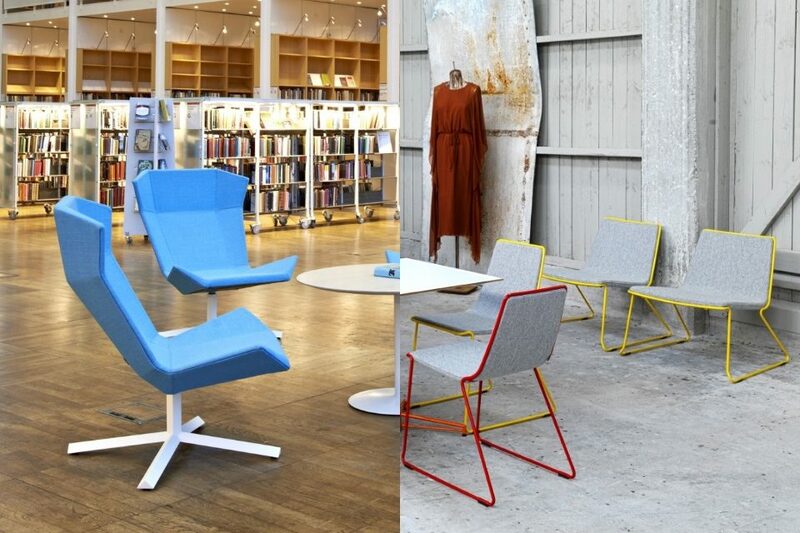 The Malmo chair is, in essence a traditional styled chair with modern appeal. 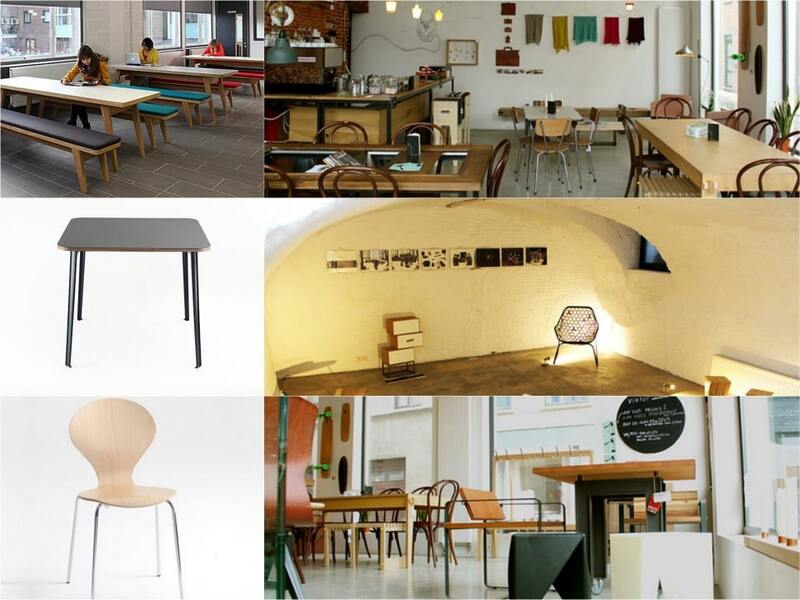 The solid wooden frame comes in natural or stained finishes with the option of a fabric or leather seat and backrest. Through a combination of natural and artificial lighting, the interior of the refurbished shop and café lounge within the Guggenheim Museum forms a sleek and bold environment. Long white walls and a high ceiling, along with mirrors dotting walls that guides natural light into the space, this gallery café space is as unique as its exterior. The furnishings are high design and edgy, whilst providing comfort within an abode of white, black and gold for enjoying a refreshment or making purchases. 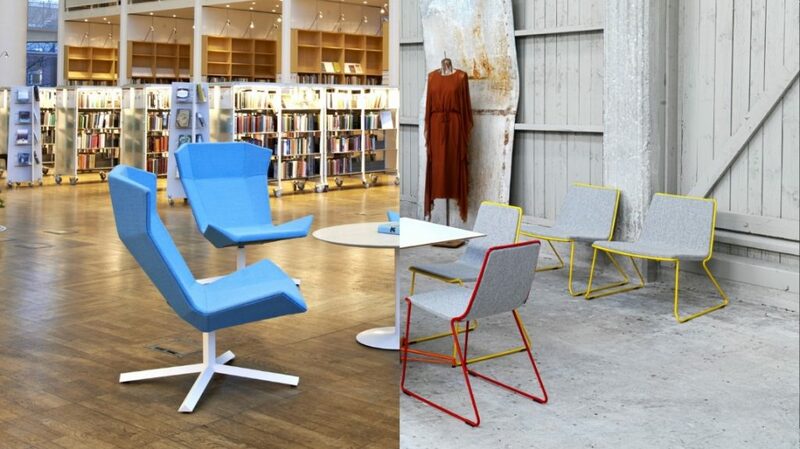 Add comfortable lounge seating with the multifaceted Modular cubes, in a range of basic forms. Select from an option of long rectangular cubes and individual seaters, the Modular range offers a versatile customisation option. Choose from black or any of the bold colours to upholster a suitable size to create a sleek lounge space. For café seating, the Grace café chair presents hard wearing qualities with a modern aesthetic appeal. 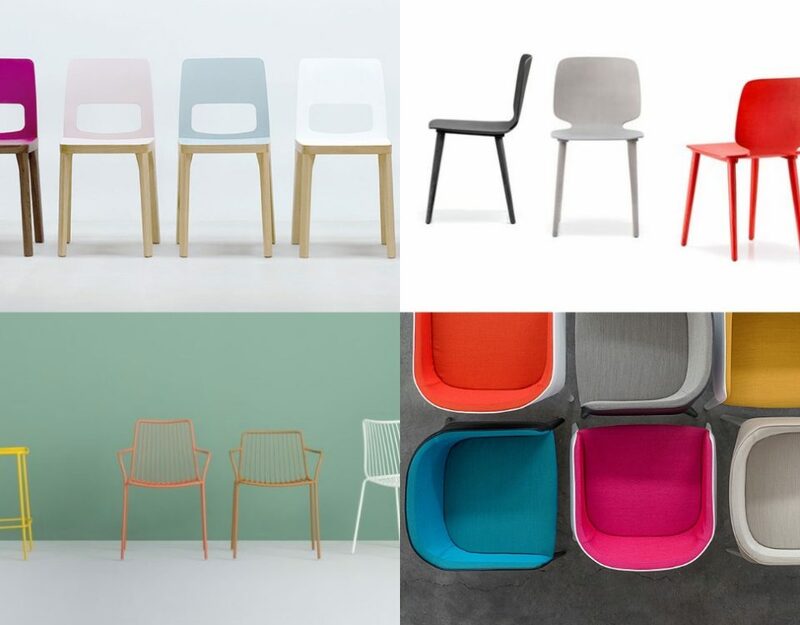 Constructed from a glass fibre polypropylene seat and steel tube legs powder coated in a wide range of colours, the seat presents effective seating for gallery cafés. To complement the Grace chair, we have selected the Inox antique table. This Inox table is characterised by an antique brushed base with the option of a copper or a brass base finish. The sophisticated table comes with a choice of solid wood laminate tops for creating that slick interior.